Rail union RMT confirmed today that the next phase of strike action by Rail Gourmet members at the Edinburgh depot has been suspended following progress in talks over the core issues of workplace bullying and justice secured after a sustained campaign of action and pressure by RMT members. During recent discussions Rail Gourmet accepted that there was an issue of bullying and harassment at the Edinburgh depot and has fully investigated the points raised by the union. 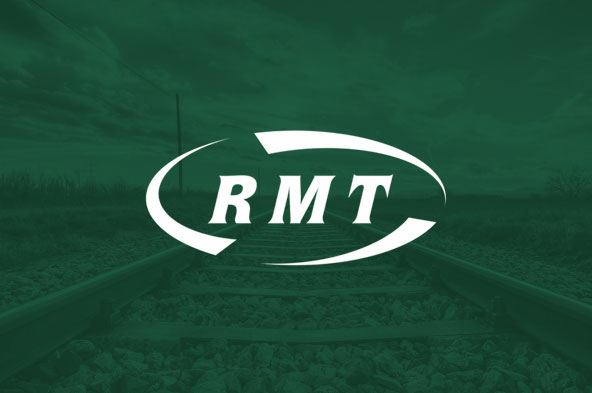 RMT representatives have acknowledged that there is now a significant improvement in the industrial relations situation at the depot, with a clear improvements in the level of respect being displayed by the company. The company and the union have further meetings arranged to ensure no more issues arise. Therefore, the National Executive Committee has considered this matter and in light of the positive progress has confirmed the suspension of the forthcoming industrial action due to take place at 0001 hours on Tuesday 12th February and 2359 hours on Wednesday 13th February 2019. Our members are instructed to work normally on these days. There is no doubt that the steadfast resolve and clear determination of our members has brought about this positive progress. However, whilst this news is encouraging, we need to remain vigilant that these issues remain resolved and that the company do not renege on their promises. “There is no doubt that it is the steadfast resolve and clear determination of RMT members that has brought about the positive improvements in the industrial relations climate at Rail Gourmet’s Edinburgh depot and I want to pay tribute to all of those who have been involved in the union campaign.